Fortnite of Epic Games developer became a real madness in 2017 and still doesn’t seem to quit. Fortnite is free to download first of all Battle Royale, a survival game in interactive environment. And it’s even more epic than its developer’s name. The mass culture phenomenon, it introduced millions to online gaming, gave life to a lot of memes, and consumed countless hours of our lifetime. And it will. So if you haven’t been to this island, hold on. When speaking of Fortnite, we first of all mean Battle Royale, a 100-player survival with people on an isolated island under storm attack. All of participants are teamed 50-50 and deployed from Battle Bus on the island, and start searching for weapons and hunt the opponent group members. There’s no respawn: when you die, you die. The island gets caught and covered by a storm driving all the survivors closer to each other, so no one hides. Luckily, you can use your fortification skills, and the materials you need, like metal, wood and stone, can be picked from virtually everywhere. Everything is destructible, and you always have a pickaxe. You’ll need your fortification skills to protect yourself in the final stand, so collect enough materials to build a good protection. There is a mini map in upper right corner. It displays your mates and enemies on the current location, shows how much time is left before the storm covers the island, and informs you about the current score. In fact, there’s more to Fortnite. The original version was built upon day and night change in the world full of zombies: day to collect resources and build, night to stand your ground. But the original version is paid, while Battle Royale is free-to-play and even free-to-win. So it’s up to you whether you’d like to have a different story in the same visual style. Fortnite Graphics: Too Cartoony for a Battle? Fortnite for PC and, for example, Fortnite Xbox One look quite unified. It’s a third person view action game in full 3D, and you’re looking from behind the shoulder. You only switch to FPV when aiming through a scope, but rifles and guns rarely have it. The moves are smooth, and the world seems real. Detailed landscapes, houses, cars, hills and roads look rather cartoonish than realistic, but it’s a top quality cartoon. It gets especially grand when the storm approaches. Though the game requires much space (Fortnite Mac or Windows versions require from 15 up to 24 GB of storage), it’s all on the screen. A bit schematic, all the environment is interactive. The game runs smoothly even if your system is rather minimal than recommended. 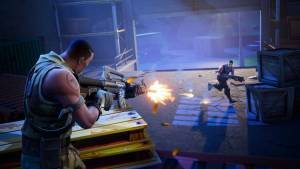 Chances are Fortnite Xbox 360 and Fortnite for PS3 will never be released, because these platforms are too obsolete for Unreal Engine 4 utilized in this game. Currently, the game is available for actual major consoles (PS4 and Xbox One), for desktop platforms (Windows and Mac OS X) and mobile devices. It can be controlled with the gaming controller, with keyboard and mouse, or via touchscreen. 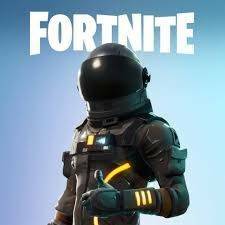 Fortnite for Windows PC and Mac was released Jun 25, 2017. You can download the game at Epic Games store for free (all links below), but you need to have a good PC. The minimum system requirements: Windows 7-10 64-bit r Mac OSX Sierra (10.12.6+); Core i3; Intel HD 4000 and 20GB free disk space (9.5 GB download / 18 GB after installation). Plus need some space for updates and new seasons. Fortnite for PlayStation 4 was released on Jul 21, 2017. You can download the game at PlayStation store for free, but you need to have 7 GB free space at your console because Fortnite game file size is 6.69 GB. Plus need some space for updates and new seasons. Fortnite for Xbox One was released on Jul 25, 2017. You can download the game at Microsoft store for free, but you need to have 25 GB free space at your console because Fortnite game file size is 17.92 GB. Install on your home Xbox One console plus have access when you’re connected to your Microsoft account. All players hoping to download Fortnite to the Xbox 360 will be disappointed. Epic Games will not release a game for older consoles. All the rumors that hover around this console are just rumors. Since September 2018 we can download Fortnite free to play version for Nintendo Switch. Full unblocked Fortnite game and popular game bundles are available on Nintendo eShop. Fortnite mobile version you can also download for iPhone (iOS) in App Store. The most expected now is Fortnite Android version. It’s still under beta testing, and while Samsung flagship device users can enjoy it fully, other platforms are not supported so well. That’s why Fortnite Amazon Tablet edition isn’t released yet: Fire tablets run modified Android. One of the great advantages of Fortnite is its easy controls. When playing Fortnite PS4 or Fortnite Xbox 360, the original controller seems perfectly optimized for it. When at your PC, you can easily use your keyboard and mouse. And switching to mobile device changes little; virtual joysticks and buttons copy both console controller and keyboard layout. The developers didn’t provide many specified moves, so the existing ones are easy to learn. As it offers third-person perspective, it’s hard to imagine Fortnite in VR, yet it is possible. We’d like to see it and hope one day it’s adapted for Oculus Rift or PSVR. It won’t take long to master controls, but you better study the map, and it will take time. There’s only one map, and knowledge of it is a great advantage. Use your fantasy. Anything is possible in this world. Always keep moving! Run and jump, and never stay still. You don’t have to stop even to pick items up. When you know the map, you can run to its center beforehand not to be caught by storm early. Don’t pick up all the guns you find. But in the beginning, you must pick at least one. Communicate in voice with your teammates, if you have a headset with a mic. Play a number of games just to learn the skills. Stay away from the rest of players in a quiet place and explore your fortification abilities. These games will be probably lost, but thus you invest in future victories. 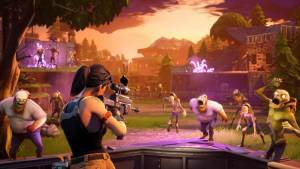 Fortnite: Save the World - a cooperative shooter-survival game for up to four players to fight off zombie-like creatures and defend objects with fortifications they can build. 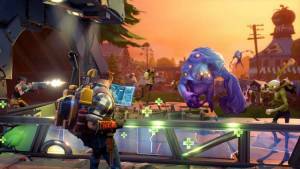 Fortnite: Save the World is organized into 4 Zones in the game that players can get to. Stonewood (Starting area), Plankerton (opening after Van or Astro Van mission), Canny Valley (opening after the Plank Off mission), and Twine Peaks (opening after the Blasting Off mission). Fortnite Battle Royale or (Fortnight Battle Royale) Battle Pass Season 7 - a free-to-play battle royale game where up to 100 players fight to be the last person standing. Play to level up your Battle Pass, unlocking over 100 rewards (Battle Stars, Fortnite skins, XP, Fortnite dances, weapons, items) worth over 25,000 V-Bucks (Typically takes 75 to 150 hours of play). Fortnite Creative - a game mode, where players are given complete freedom to create worlds and battle arenas. At this mode your character can edit, copy, and manipulate props in the world. Experiment with its features to discover all the things it can do. 1. How do I get Fortnite Android app? Use a special page to subscribe. Sooner or later you’ll receive an email with a link to download Fortnite APK. If you’re out of patience, you can find leaked beta versions on third-party servers, but the earlier is the version, the less probable it is to run on your device smoothly (if at all). 2. Where is Fortnite Windows 10 link? I have installed it and now I can’t find it! Run Epic Games launcher. What you look for is inside. 3. Will I like the original Fortnite, if I’m a fan of Battle Royale? It’s different. You have to cooperate in building, so it may rather resemble Minecraft. But you might like it too, because visuals are the same. 4. Do I have to pay for better equipment? The game supports micro transactions, but it’s free-to-win. In fact, the V-Bucks you can buy only help you customize your character’s appearance and don’t impact abilities at all. On the other hand, when you play with your mates, being recognizable from a distance is hard to overrate. 5. Where can I get Fortnite installer for PC? Links to download the latest version Fortnite Season 7 are available at the bottom of the page. Just click on the "Get Game" button. 6. Where can I get Fortnite for Mac? 7. Can I Play Fortnite online without downloading? No. You need to install Fortnite game at your device. 8. How to download Fortnite on Xbox 360? Fortnite isn't available for Xbox 360 and will never be released for this console. 9. Сan I download Fortnite for Nintendo Switch? Yes, just click on the "Get Game" button. 10. Can I get Fortnite on Steam? No. You can get Fortnite for PC at developer's site, just click on the "Get Game" button. 11. Can I get Fortnite Save the World? 12. What is the Battle Pass? The Battle Pass is a system implemented in Battle Royale to reward players for playing during a pre-established length of time known as a Season. 13. How do I get a Battle Pass for free? Yes, you need to play 70-150 hours to level up your Battle Pass or you can buy it. 14. How to install Fortnite on PC? Click this link and will start automatic downloading of an installer file. This installer database contains the logic and data required to install Epic Games Launcher. After running Fortnite launcher you need to choose the folder for installation (Program files) and click the "Install" button. Follow the launcher instructions to complete the installation. Want to have hours packed with action, adventure, survival, and a little bit of fun? Fortnite is the best option for a player looking for a mingle of these genres. Having fun, install and play Fortnite unblocked full version online. Download Fortnite for free from official resources. There’s no respawn in the game: when you die, you die Ambiguous name: Fortnite - Fortnight, Fortenight are common mistakes. 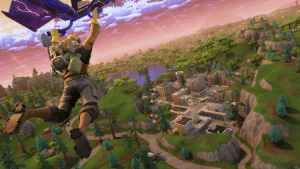 This links follow to webpage, where you will find links to official sources of Fortnite game. If you are Windows PC, Xbox One, Xbox 360, iOS, Android, Nintendo Switch, PS4 user, then just click to button below and go to the page with links. Please note that this game may ask for additional in-game purchases and permissions when installed.